Enjoying a Hiatus from the Grocery Store | Bloom. ← Saturday at the Farmer’s Market. Today I had a weird thought. Outside of a trip to get a couple lemons and some milk, I have not been to the grocery store in two weeks. For a girl who frequents the super market at least twice throughout any other week this is kind of monumental. The farmer’s market visit, frozen meat from Adam’s hunting trips last winter and the garden’s current bounty set us up for a great week of easy, cheap meals. It also helped to remind me that things don’t need to be complex to be delicious. 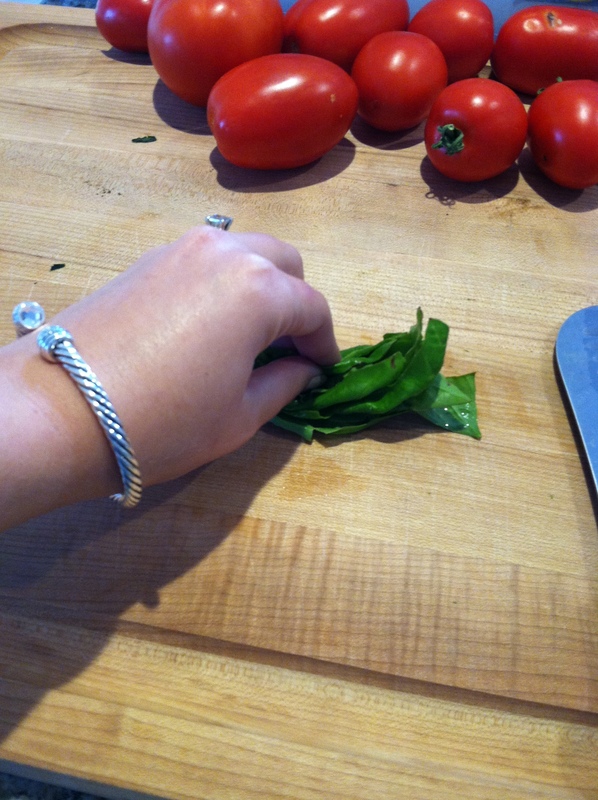 So long as I have a little oil, salt and pepper, and some seasonings such as herbs, I am good. I had never made beets, outside of the Chopping Block class, and was surprised how simple it was. 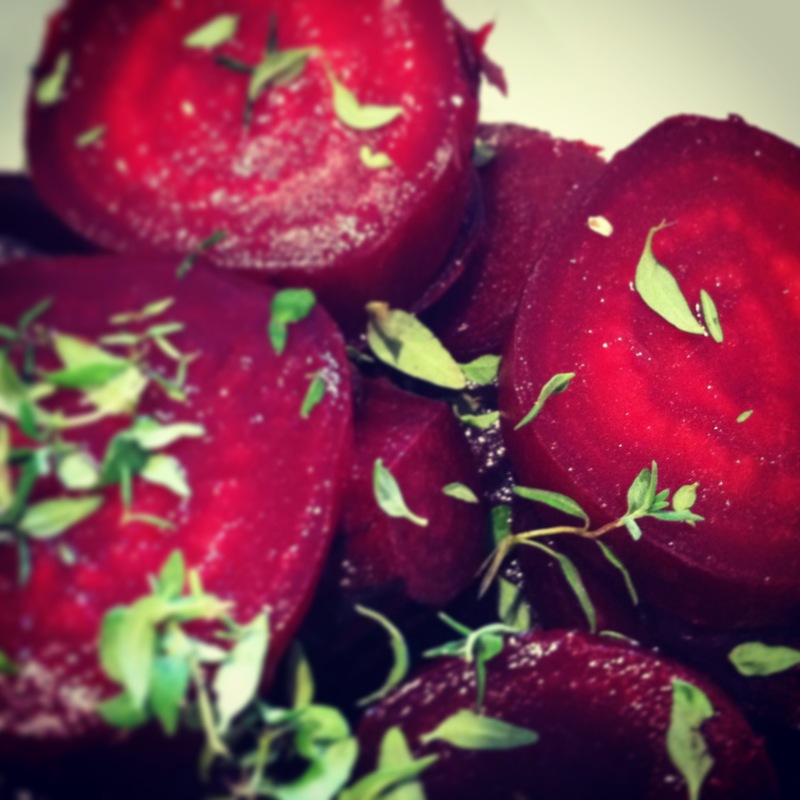 The lemon juice and thyme was a perfect way to bring out the beets natural, sweet flavor. Adam had never eaten a beet before and compared the flavor to sweet corn. One thing to be aware of, beets have a very strong magenta color that can dye your fingers, clothes, table cloth, floor, counter top (etc, etc…), if you are not careful. It was seriously summer on a plate, and it was made with many different garden veggies including summer squash, zucchini, bell peppers and tomatoes. I subbed a little corn shaved off a cob for the mushrooms because we had it. 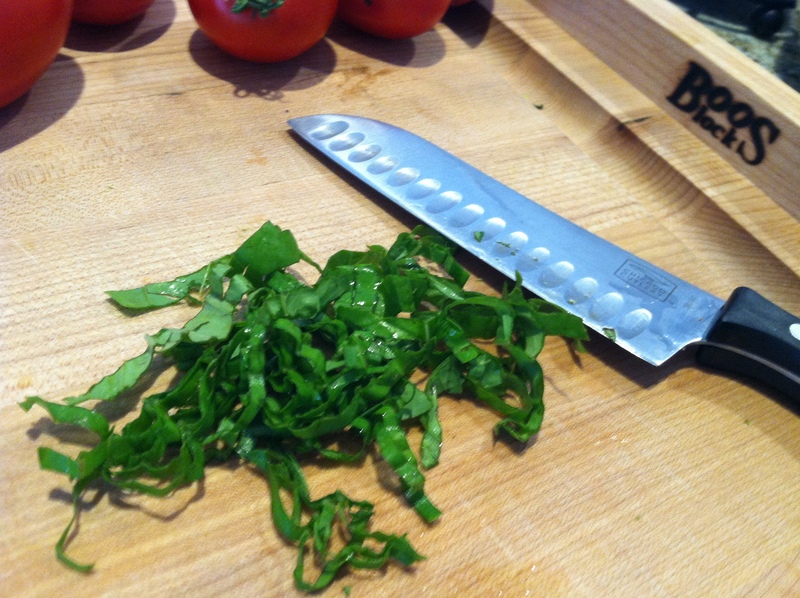 My basil is still booming, flavorful as ever, and was so perfect and fresh in this dish. 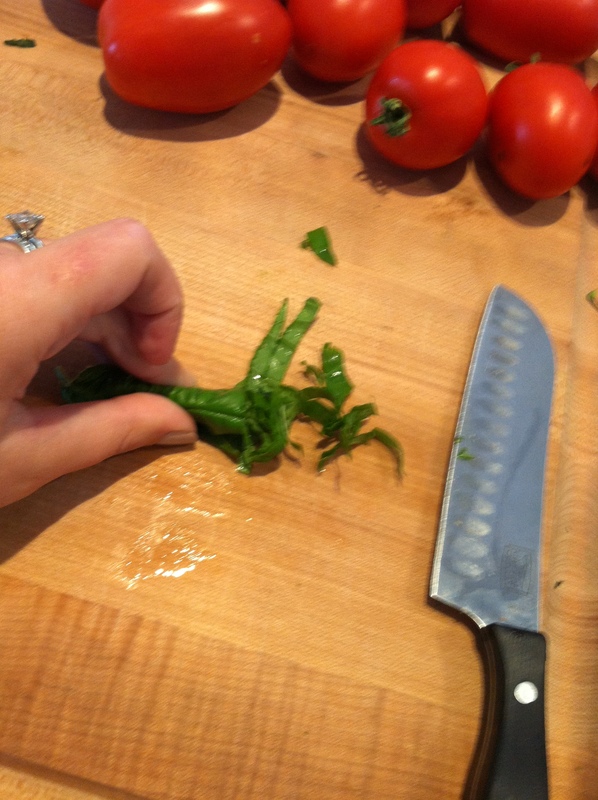 “Chiffonade” is a cutting technique where a leafy vegetable or herb, like basil, is cut into small strips. 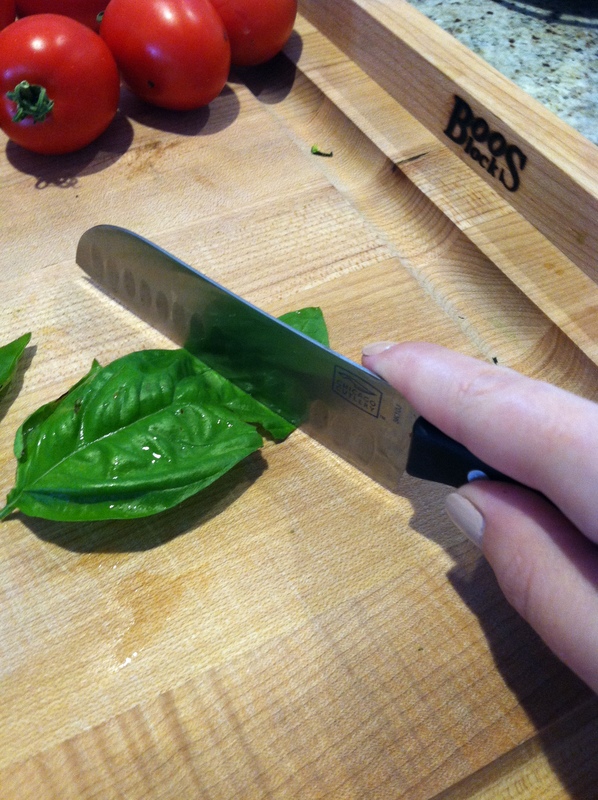 This can be nearly impossible (… or at least really annoying) to accomplish when cutting a single leaf at a time. 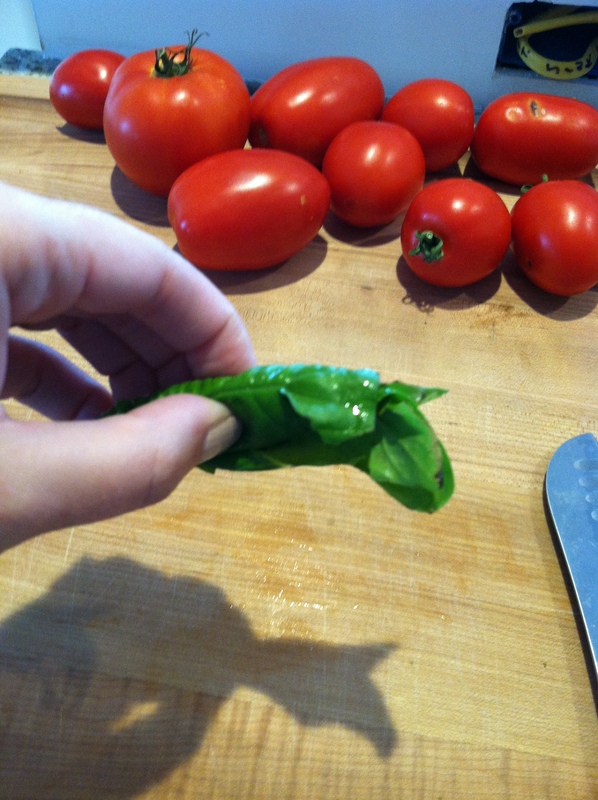 A great skill I learned at a catering event a couple years ago when I was making bruschetta is to roll a handful of basil leaves as if you were rolling it like a cigar. Hold the bunch together as you thinly slice the roll and it is so much easier to achieve many little thin strips, quickly. Our favorite of the week didn’t come from the internet or Pinterest, but was made up on a whim. I baked some summer squash in the oven that was dressed with a little grape seed oil, salt, pepper, and finished with a sprinkle of Parmesan. It was easy and tasty. Place in the oven for about seven minutes, then flip and cook for about another seven minutes. With about three minutes left sprinkle Parmesan on squash. Parmesan should just melt. I shared this with a woman at work when I was trying to get her to take some zucchini and squash off my hands. (It was beginning to take over my kitchen…) Thankfully, she did, and she even made the recipe for her girlfriends. I received a text from her this morning asking if I could bring her more squash. Apparently, everyone loved it, and she wants to make it again for a party she’s hosting later this week. Besides the taste and the fact that you probably have all the ingredients in your kitchen every day of the week, this recipe is so great because it is so versatile. You can grill, bake, or sauté not just zucchini or summer squash this way, but it works great with other vegetables like asparagus, brussels sprouts, or cauliflower. 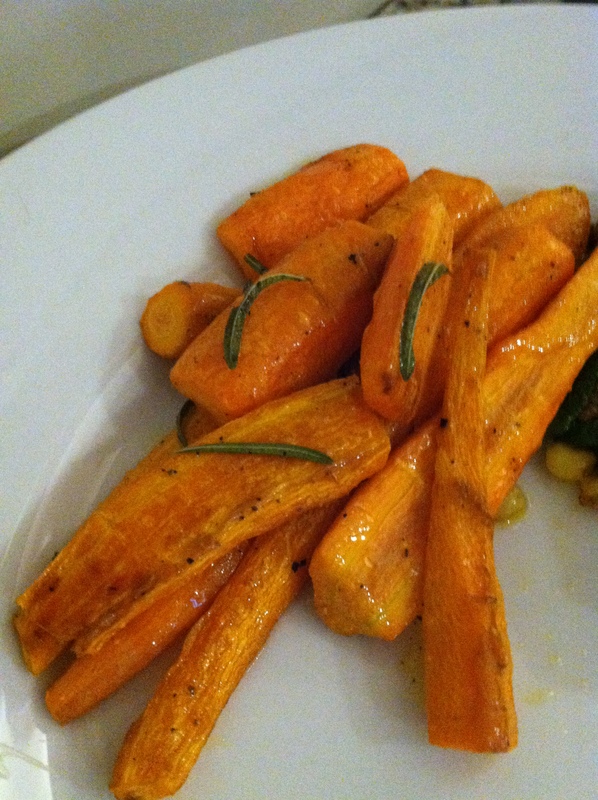 Tonight, I roasted carrots from the garden this way with a little fresh rosemary. All of this was followed by a little laughter. I was super excited about a carrot. What has my life come to?! Claire, I really enjoy reading your posts! Great job!